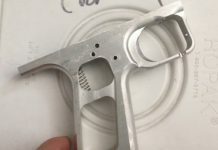 A look at an empty AKA Inline Design Autococker trigger frame. 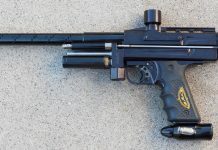 This would have come on a Splat Attack Revenge V2 or a later inline Merlin. A satirical commercial that Tim Firpo and I put together for Paintball Tek dot com.